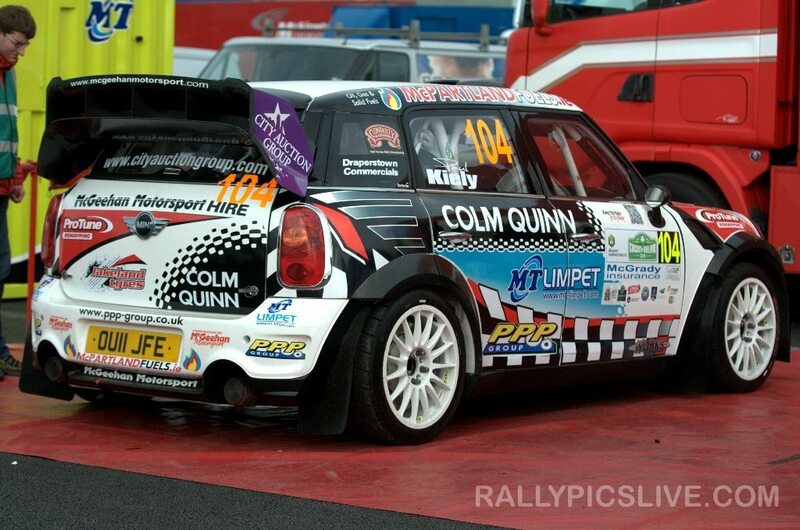 We are proud to reveal the livery on the McGeehan Motorsport – Colm Quinn MINI WRC for this years Circuit of Ireland Rally! Thanks to the team over at www.rallypicslive.com for the photo who will be posting live images from the event.. What do you think of the new livery? Great to have MT Waste on board for the Circuit, alongside PPP Group, Lakeland Tyre Service, Protune Ireland, City Auction Group and Sligo Fuels / Mc Partland Fuels. After tonights ceremonial start in Belfast Eugene and Paul have a long and hard days rallying ahead of them tomorrow. It would be great to see you out on the stages cheering them on!